Sellers beware of selling on Amazon. You can be scammed easily. This will be a bit of a different blog post than usual. We here at Del Suppo Pools recently ran into a huge issue with selling on Amazon and we wanted to spread awareness. We have been selling products on Amazon for over 4 years now and thankfully we have grown each year. We have enjoyed success selling on Amazon. Recently though we ran into our first big problem and Amazon did absolutely nothing about it. We sell safety covers on Amazon that cost over a thousand dollars. For years, as I stated earlier, things have gone smoothly. Once we receive the order on Amazon, we call in the order to the cover manufacturer and they ship the cover directly to the customer. Unfortunately though, this particular customer claimed to have never received his safety cover which costed over $1,000. We here at Del Suppo Pools immediately looked into his situation. We saw that we ordered the cover and it was shipped in a timely manner. We checked with UPS and they confirmed that the cover was delivered at the customers gate. The provided us documents proving that the cover was delivered. UPS also told us that this specific customer was a my choice UPS customer, which waives the customers rights to blame UPS for any lost packages. Therefore, UPS recommended for the customer to reach out to safety cover manufacturer since they were the ones that shipped it. UPS recommended the customer to open a case with safety cover manufacturer since the package was in the customers name. Since we were the seller, we reached out to the cover manufacturer first to see if we could get things settled. Unfortunately, they said the same thing as UPS, that the customer needed to reach out to them. After we have the documents and information from UPS and the cover manufacturer that the package was delivered, and that the customer had to contact the manufacturer, we reached back out to the customer to explain the situation. The customer absolutely refused to cooperate and opened a claim with Amazon instead. Once he opened the claim, we explained everything to Amazon and sent in the needed documents proving that we did absolutely everything we can on our end to make sure the customer received the product they ordered. After a long wait, Amazon ruled in the customers favor and took the money out of our account. We countered the decision and Amazon still ruled on the customers behalf. We tried to call Amazon to get an explanation, since we have proof from UPS that the package was delivered to exactly where the customer wanted it.If the package was stolen, that is truly unfortunate but that shouldn’t fall back on us, that should open a police investigation. After multiple attempts to reach the claims department we kept getting the same answer from the Amazon representatives, that there is no number for the claims department and we just have to send an e-mail to them and the claims department will respond as soon as possible. At this point it’s been over a month and a half and we haven’t heard anything at all from the claims department after sending multiple emails and after talking to multiple Amazon representatives and them telling us that they would make our case urgent. We make Amazon a nice amount of money. We know there are bigger fish in the sea, but to just totally ignore us when we have a legit case is terrible business. Basically if you have a customer that orders something expensive from you off of Amazon, they could sign up to be a UPS my choice member, claim they never Received the item and Amazon will return their money leaving you with the loss. There is absolutely no help from Amazon and nothing is stopping anyone from doing this over and over. Please beware and make sure to require a customers signature at least when shipping an item that is expensive. Even at that point though the customer can claim they never signed for it, it was someone else. 10. They can be used year-round. Swimming pools may only be great in the summer, but hot tubs can be used year round. You can enjoy starry nights, changing leaves, freshly fallen snow, or colorful sunsets in a hot tub. 9. They actually save water. Relaxing in a bath tub requires you to drain the water after each use. Using a hot tub only requires it to be drained and refilled every few months. 8. They can help you sleep better. Using a hot tub 1-2 hours before you go to bed can help you sleep better at night. Hot tubs raise your body temperature, and the rapid cool down afterwards relaxes you and aids you into a sound sleep. 7. They can help you heal quicker. Hydrotherapy, most commonly hot water, is known to help people who are recovering from injury or surgery. The increased blood flow and circulation to the inflicted area can speed the healing process. 6. You can lose weight in them. Simple exercises such as bicycle kicks or arm crossovers can help with weight management. The resistance of the water relieves joint pressure and does not put added stress on your body when exercising. 5. They can enhance your social life. You and your friends and family have the opportunity to spend quality time together. Everyone will have a chance to unwind and relax. 4. They are easy to manage and are energy efficient. Newer technology allows hot tubs to stay clean with only a few minutes of weekly maintenance needed. Models are now being produced that meet energy standards and meet consumers desire for greener products. 3. They are great for children and grandchildren. Because they are smaller than pools, children love them. Relaxing in a hot tub is a great family activity. 2. They can motivate you at work. It's important to reward ourselves for a job well done. Knowing you have a relaxing hot tub to come home to will inspire you to work hard. 1. They are great for your health. Hot tubs have numerous health benefits such as lowering blood pressure, relieving pain, aiding digestion, and treating colds. If you would like to purchase hot tubs or chemicals visit Del Suppo Pools and Spas at 26 Mckean Ave. Donora. Pa. 15033. We are currently having a clearance sale where all of our hot tubs are thousands of dollars off! If you have any questions or want to know about pricing, feel free to e-mail us info@delsuppopools.com, call us at 724-379-5066 or fill out the form below for a free quote! Get Ready to Dive Into Savings, Polaris Pool Days At Del Suppo Pools Are Nearly Here! The BIGGEST Pool Cleaner sales event of the year is happening here at Del Suppo Pools and Spas during our Open House & Polaris Days sale from Wednesday, May 2nd until Saturday, May 5th. Tired of having to manually vacuum your pool?Tangled vac hose? Taking a brush to clean your walls and waterline? All of those hassles & more can easily eliminated when you purchase a new Polaris Robotic Cleaner. There isn't going to be a better time than at Del Suppo Pools & Spas from Wednesday, May 2nd through Saturday, May 5th. Stop in from Wednesday, May 2nd to Saturday, May 5th take an additional 10% off of our already competitive prices on Polaris Robotic cleaners like the new Polaris 9650iQ Sport that features iAquaLink control technology and on-demand features that are accessible from your smartphone or other smart device. -Self contained, doesn't hook to pump or filter. -Pleated brushes clean floor,walls, and waterline. -They're robotic! Just drop them in the water and it do all the work! -The 9650iQ features iAquaLink control letting you use on-demand features with a smartphone or other smart devices! From anywhere! In addition to 10% off of our sale pricing, splash into even more savings with up to $200 off of your qualifying Polaris Robotic cleaner purchase with a manufacturers mail in rebate. Unbeatable savings on Robotic Cleaners isn't the only reason stop by and get your new Robotic Cleaner from Del Suppo Pools and Spas this spring, qualifying Polaris items purchased in-store come with an additional 1 year extended service warranty! Not to mention the store-wide savings of our annual Open House Sale. Don't forget to pick up your Nature2 Mineral Cartridge for your Fusion Soft Salt System when you stop in for your opening chemicals. Nature2 Mineral cartridges purchased between March 15, 2018 and September 3, 2018 qualify for a $15 online rebate! Click on the image to get your online Nature2 rebate! It doesn't matter if you are looking to buy your first Robotic Cleaner, its time to upgrade from an older model, or you're searching for the perfect Mothers/Fathers Day gift; you can't beat the savings during our Open House & Polaris Days here at Del Suppo Pools & Spas. We can't wait to see you May 2nd - May 5th! Why An Automatic Safety Cover is Right for You. Whether you are shopping for a new pool and contemplating an automatic pool cover as an addition for your backyard makeover or you're considering adding one to an existing pool, this blog hopefully will help you see why it's the right choice for you. There are several reasons to enhance your pool with an automatic cover by Cover Pools. Several more reason why to get it from Del Suppo Inc. or Tri-State Pool Covers. Let's go back over 25 years to 1991 when Buster Suppo installed his first Cover Pools auto-cover in Cheat Lake, WV. It was Busters first big job that he landed for Del Suppo Inc. The customer found us in the Yellow Pages and proceeded to ask about the pool and the about cover itself. Buster then worked with the architects and builders to construct this 13' by 62' indoor lap pool being constructed in the basement of the customers new home. This particular customer saw that an Auto-Cover by Cover Pools was, without parallel, the right choice for them due to first and foremost safety. Being a young couple with a baby at the time, the added safety and piece of mind was reason enough to purchase the cover. Other than the practical safety features, the sheer convenience and humidity control were also leading factors in why it was the right choice for their build. 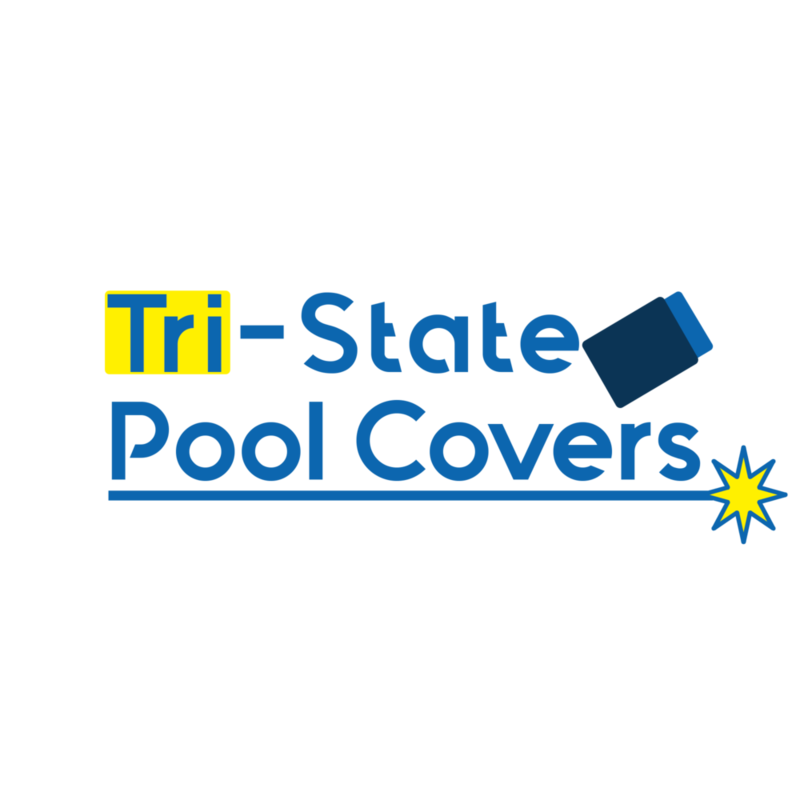 As years went by we've continued to install auto-covers and in 2009 we were awarded the opportunity to become the regions Cover Pools distributor giving us the ability to sell and service all makes of auto-covers, thus, Tri-State Pool Covers was born. This also allows us to use our expertise working as a sub-contractor to other pool builders for the installation of an auto-cover while not competing with their pool installation. Now for the actual covers. While safety is a huge advantage with an auto-cover by Cover Pools and cannot be emphasized enough; it's not the only advantage to take into consideration. I briefly touched on humidity control for an indoor pool, similarly with an outdoor pool an auto-cover can prevent up to 95% of water loss due to evaporation. They can also reduce your operating cost by 70% by reducing chemical usage, retaining heat gained from heater/heat pump, and by keeping leaves, pollen, and other debris out. They also function as a 3-1 cover serving as a safety cover, solar cover, and winter cover eliminating the need for multiple covers. Getting the cover off and on is literally as simple as turning a key allowing for one person opertation. Now for a little on Cover Pools auto-covers themselves. 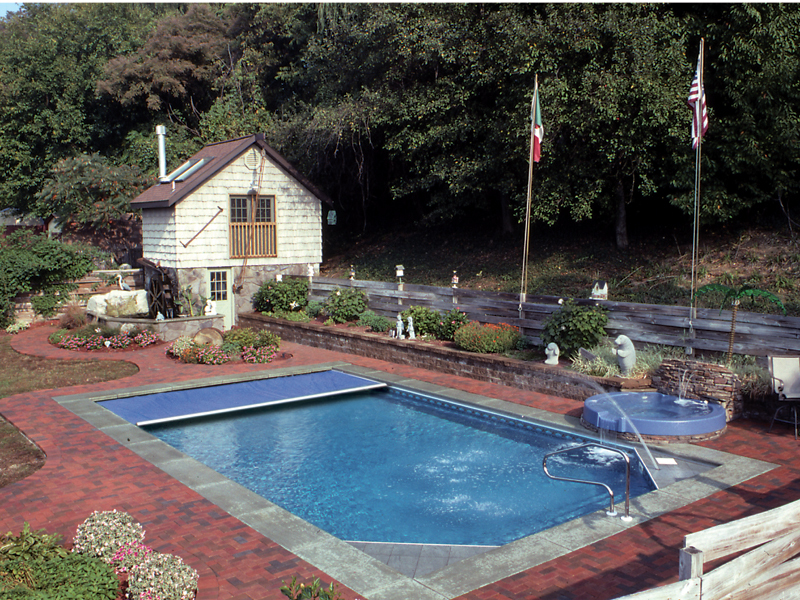 In 1965 Joe Lamb invented the the Automatic pool cover and founded Cover Pools. 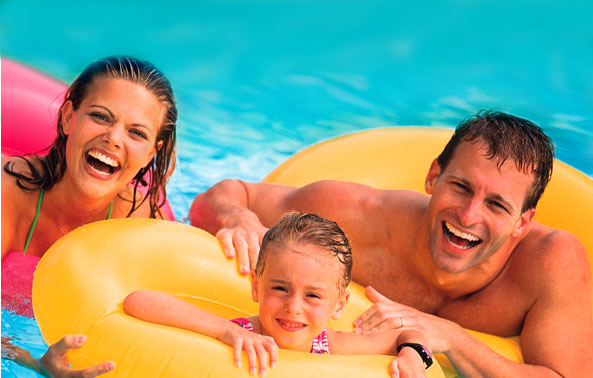 Cover Pools is the largest manufacturer selling their products in all 50 states as well as internationally. They remain at the forefront of innovation and technology in the field. They have been awarded Best-in-Class for their motor/mechanism. They offer a lifetime warranty on the mechanism, 7 year warranty on their quadcore fabric, and a 3 year warranty on the motor, controls, and components which is the best warranty available on comparable products. For more information or a quote feel free to stop in and see us! Hope to see you soon! If you didn't know, we've been blessed enough to be going on 41 years of business in 2018! One way we could reflect on the many great years is to share some throw back pool projects that we have done through the years! These pictures range from 1977 to 2018 and shows all the different types of pools we're able to build! 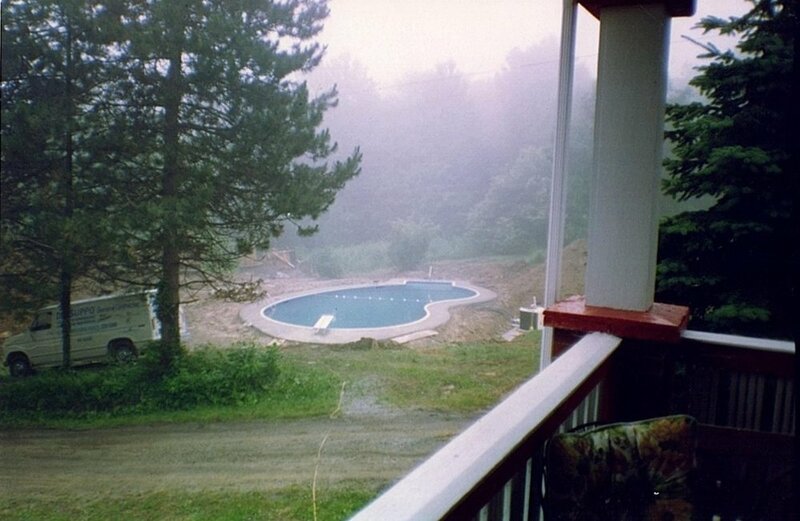 We've built pools from Donora, Pennsylvania to Ohio to West Virginia to Maryland! We travel far and wide to bring people their very own back yard paradises! Check out the photos below! 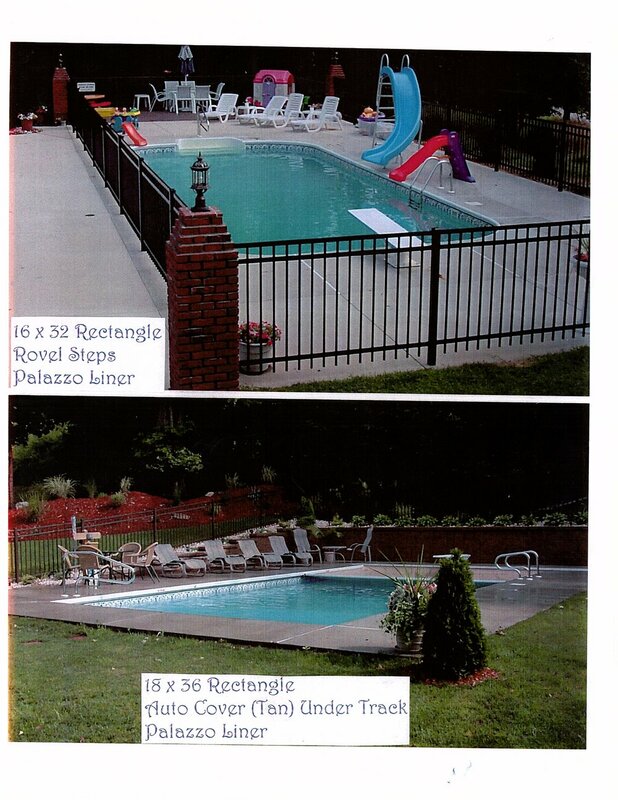 If you have any questions about these pools or would like a backyard paradise of your own feel free to stop in a 26 McKean Ave. Donora, PA. 15033, call in at 724-379-5066 or e-mail us at info@delsuppopools.com. Thank you to everyone who's made 40+ years possible!! We love and appreciate your business and friendship! How Heavy Rain Affects Your Pool Water! Summer is officially here, but that hasn’t stopped the rain in Western Pennsylvania. The rain has been coming heavy and often over the past few weeks and it is important to understand how this rain can affect your pool water, and how to handle your pool after a large rainstorm. Rain water is often known to have acidic properties that can negatively affect your water chemistry. The rain water most commonly affects your pH levels. The reason for this is that rainfall across the U.S usually has a pH level of around 5.0. The pH level of your pool is supposed to sit between 7.4-7.6 ppm, so a very heavy rainfall can bring your pH level down out of the recommended range. Low pH can be damaging to your pool, body, and checkbook in a few different ways. Low pH means your water is acidic, this can cause skin irritation and eye irritation to swimmers. Also, any metal fixture that is touching the water is also at risk of corrosion, so a metal ladder, a heater, or anything else could become eroded over time. Lastly, these low pH levels will not allow your chlorine to work as well as it should, so you aren’t getting maximum use out of your chlorine pucks! Rain water can also introduce some new contaminants to your pool. Your sanitizer will begin to fight them off, so you also want to be sure that your chlorine levels are in the proper range after rain. Before the rain comes, there are a few things you can do to prepare your pool. #1 – Remove anything from around the pool that is not securely fastened down. With rainstorms often comes heavy winds. If you have things such as potted plants near your pool, it is a good idea to bring them in the house or move them far away from the pool. Other things such as patio furniture, grills, lawn gnomes, or pool accessories should also be put into a safe place so they do not break, or blow into your pool. #2 – Prepare the pool water. Make sure your water chemistry is in balance before the rain comes. You can add a bit of algaecide to your water as well. A well balanced pool will make it easier to fight off contaminants and easier to clean after the storm has passed. #3- Get inside and stay out of the water! It is never a good idea to swim during a rain storm, especially if there is thunder and lightning. Get inside and stay dry and safe! Hopefully the storm has come and gone without doing too much damage. If the rain was heavy and you think your water has been affected, here are some steps to take to bring your pool back to perfection. #1 – Turn on your pool pump and filter. Remove any debris from the skimmer and pump baskets and then get your pump running so it can begin to filter out any small debris. #2 – Remove debris from the water surface using your skimmer net and telescopic pole. The wind probably blew around some leaves and other debris into the pool. You’ll want to get this debris out using a net before it all falls to the bottom. #3- Use your vacuum or automatic pool cleaner to brush and vacuum your pool. Brush any debris from the steps or ladders so that your vacuum or filter can get it. Vacuuming should help you get all of the remaining debris out of the water. #4- Bring a water sample to Del Suppo Pools and Spas to have it professionally tested! Come and visit our friendly and knowledgeable staff at 26 McKean Ave in Donora, PA to have your pool water professionally tested. We have equipment that tells us your pool chemistry down to an exact number. We also have all of the chemicals you would need, plus much more! Interested in avoiding all of these headaches by installing a 4 season automatic pool cover? Call us today at 724-379-5066 for a free quote! Interested in an automatic pool cleaner to make the clean up a bit easier? Come visit our showroom for a wide selection of Polaris Automatic Pool Cleaners! Thank you for reading! If you have any other questions, feel free to call Del Suppo Pools at 724-379-5066 or stop into our show room at 26 McKean Ave. Donora, PA. 15033! What Are Chloramines and How To Deal With Them. Hello! We hope all of our customers and readers are enjoying the change of the weather! As the seasons change from fall to summer, it’s a very exciting and important time for pool owners. This blog was written to inform pool owners about an issue that many pool owners face throughout the season, CHLORAMINES. Chloramines, which are also known as Combined Chlorine, are chlorine molecules that have combined in the water with ammonia and nitrogen. These contaminants are introduced to your water through a plethora of different ways. The most common reasons ammonia and nitrogen compounds get into your water are by swimmers that are using some kind of skin care product, or hair care product. Other things include cosmetics, perspiration, and saliva. These chloramines give off an obnoxious chlorine smell and can cause skin and eye irritation that many owners blame on chlorine itself. How to deal with Chloramines. These chloramines can be kept in check by frequent testing and super-chlorination (Shocking your pool). The level of the chloramines can rise due to variability in the bather load, so it should be checked frequently, especially after you have a large party, or a lot of people in your pool. If your combined chlorine levels are reading above 0.3 PPM, you should treat your pool for chloramines. We recommend this treatment be done by adding a NON-CHLORINE shock to your pool. By adding a non-chlorine shock to your pool, you treat the chloramines and kill them. It is suggested that you add 1 pound of a non-chlorine shock per 10,000 gallons of water in your pool. Don’t worry about overdoing it, as that will not hurt anything! We suggest adding more than the required amount to be sure the chloramine level is taken control of, and any remaining non-chlorine shock will stick around and handle the problem next time chloramines arise. If you think you are having trouble with chloramines, we invite you to stop in to our showroom at 26 McKean Avenue in Donora, PA to have your water tested! We have a wide variety of shock including the non-chlorine based shock that is perfect for dealing with those pesky chloramines! The Dangers Of Improper Chemical Levels. Research by both chemical suppliers and vinyl manufacturers have confirmed that wrinkles in swimming pool liners develop due to water absorption. The primary cause of water absorption is high levels of sanitizers - whether bromine or chlorine. Important secondary factors include pH levels and cyanuric acid stabilizer levels because they control the activity of the sanitizer. Listed below are the recommended levels of these important chemicals in your pool if you want to avoid water absorption and a wrinkled liner. Some other tips to keep your liner free of damage and wrinkles. Allow each chemical to circulate throughout the pool before adding a second chemical. Certain levels of chemical combinations can bleach your liner. Never cover your pool if your free chlorine levels are about 2.5 ppm. This could cause wrinkling. If you employ an automatic pool cover or a solar blanket, it is recommended to be removed or retracted once daily in order to allow chlorine concentration build up to dissipate. Vacuum and clean the pool with a cleaner designed for vinyl lined pools. Check Fuses on Limit Switches (If Equipped), Located on Circuit Board. Disconnect Main Breaker First. When Shocking or Super Chlorinating Pool, if Possible, Leave Pool Uncovered with Filtration Operating. The pool should not be left unsupervised when the cover is off the pool. Keep a Cover Pump on your Cover At All Time To Remove the Water Build up. If you don't have a Cover Pump, we Sale them here at the Del Suppo Pools Showroom! Hi there, we here at Del Suppo Pools hope you are doing well and keeping warm this winter. 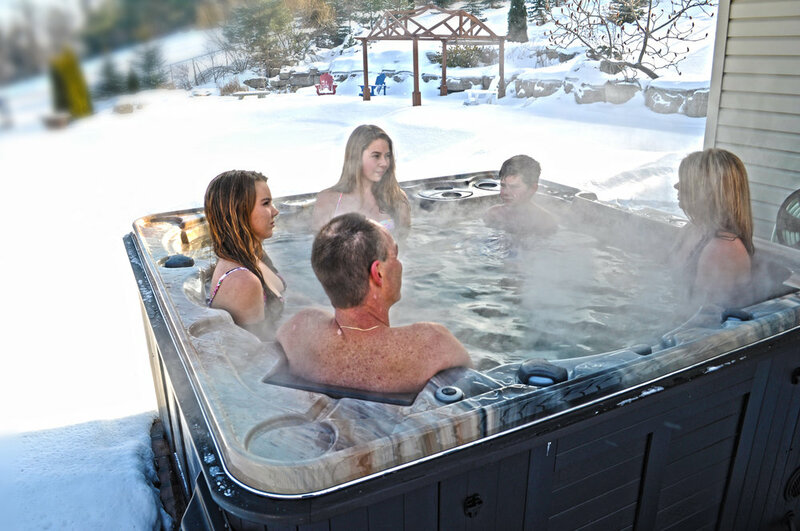 With the temperatures dropping, there’s one way to stay warm and that’s getting a hot tub! So since it’s a great time to get a hot tub here is a list of reasons you should get a hot tub! Swimming pools are great in the summer when it’s warm, but hot tubs can be enjoyed winter, spring, summer, and fall. In fact, a hot tub often allows you to be outside and enjoy things like a starry night, freshly fallen snow, changing leaves, and colorful sunsets when you might otherwise not be inclined or able to do so. Fun fact: The word spa is acronym for “salus per aquam,” a Latin phrase that means “health from water.” The hot water in a hot tub can help increase circulation and blood flow, relax muscles, and ease pain. The natural buoyancy that occurs when we’re in a hot tub also reduces strain and pressure on our joints and muscles and gives them a small break from all of the hard work they do day and night. And last, but not least, our favorite part: the jets target muscle groups to massage and help soothe sore muscles. Insomnia or even just a bad night of sleep can ruin the next day. But if you take even just a 15-minute soak in a hot tub about an hour and a half or two hours before bed you raise your temperature and the rapid-cool down period afterwards relaxes you and aids in easing the body into a sound sleep. Whether you’re in the hot tub alone or with friends, enjoying an adult beverage or hydrating with water, soaking in the sunshine or under the stars, a hot tub will help ease you into a state of relaxation. You can read a book, mediate, escape you’re your electronic devices, and or enjoy some quiet down time. Between the heat and the soothing bubbles, even a short soak will help you alleviate stress and enhance your sense of well-being. Sure, you might be able to use the spa at your gym or a friend’s house, but you don’t have to pay a monthly fee to use your own hot tub (though your electric bill will go up a couple hundred dollars a year) or wait for an invite, it will be right in your backyard or on your deck, and you can forego the bathing suit if you want. If you enjoy the company of others and want an excuse to have some people over, invite them to come over and enjoy your hot tub with you! There are so many types of hot tubs now, you can customize yours to be whatever you want. You choose the size (anywhere from 3 to 9 people), color, number and style of jets, LED lighting, controls, and can even add a stereo system. Whether you want your hot tub to be a family gathering place, a romantic spot, or a party destination, you can design it so that it has all of the perfect features for your needs. Thanks for reading! If we sparked your interest in getting a tub, stop into our show room for some great deals on hot tubs! 1. Boosts Blood Flow For Better Cognitive Function. A boost in blood flow can help improve memory, mood, clarity, and focus. A 2014 study found immersing ourselves in a steep pool increases blood flow to the brain. 2. Stimulates Brain Chemicals For Mood Boost. Swimming and other exercises release neurotrophic factors in the brain, endorphins, which are thought to be helpful in managing stress and or anxiety and mood. Physical activity and exercise can aid with tension relief, and even counter some depressive symptoms. Swimming activates both brain hemispheres and all four lobes of the brain simultaneously, which can lead to increased cognition, and an easier time learning. Exercise, not just swimming in general, is great for the brain. All credit for this article goes to Lizette Borreli, from www.medicaldaily.com. If you're interested in making positive changes to your brain, give us a call for a free pool quote today at 724-379-5066! Hello, everyone. Del Suppo Pools here with another blog that will hopefully help some of you out! This blog is about salt systems. Just like any other device, If you have a salt system, you may run into some problems/have some questions or you may just be looking for tips to help keep the salt system running smoothly. Hopefully this blog could help you out and address those problems/questions! The most obvious solution to some problems is to make sure there is power running to the salt system. Sometimes a breaker will trip and the customer will not realize this and will think the salt system is broken, when in reality there's just no power going to it. Make sure to get a new Fusion Nature 2 Mineral Pack every year for the pool opening. Keep a salinity reading between 3 - 3.5 ppm. A chlorine reading between 1-3 ppm. A pH reading between 7-4-7.8 ppm. and an alkalinity reading between 125-150 ppm. If the salinity level needs raised, add salt directly into the pool water while the pumps and filters are running. Test salinity after letting the newly added salt circulate in the pool for 24 hours. If you receive the NO FLOW reading: Check baskets, valves, and filters and make sure all are clean. If all of those items are clean. Manually check the salinity reading using salt test strips. If the salt level is high, you must drain your pool between 12"-18" and refill it with fresh water. If salt level is low, add salt and let circulate for 24 hours. If chlorine level is low, boost to 100% using the boost button D for 24 hours. After the 24 hours, the system will return to original setting. To clear boost, press and hold D for 10 seconds. OR you can shock the pool to get the chlorine level to raise. Tip: Boost before heavy bather load. A boost will take the place of granular shock. If Chlorine is low, Raise productivity 5%-10% & then boost. If pool water is cloudy/slimy, add shock and boost to get to a 3-5 chlorine reading. You will need to replace the salt cell every 3-5 years. The warranty is 3 years from the day the salt system is installed. The homeowner should try to troubleshoot problems first by going through the product manual. If a service technician goes out to a pool and the problem is not covered by warranty, the customer will be billed accordingly. If you still have questions or this didn't solve your problem, feel free to call us 724-379-5066, stop in at 26 McKean Ave. Donora, PA. 15033. or Stop in or call your local pool company! Thanks for reading and hope this helped you out! What To Do If Your Pool Water Is Cloudy? A lot of people reading this may have trouble keeping their water clear or maybe even know someone who has trouble keeping their water clear. If this is the case, a lot of times it is very easy to fix and regain that crystal clear water that looks incredible. One might think that the best option is to buy a product that claims it will make your pool clear or an item that says something like "From cloudy to clear water!" or "Green to blue!" ... While some of these products do work, most of them are just masking the real problem momentarily and your pool water will turn cloudy again soon. It's kind of like if you were to take aspirin when you have a virus, it will make you feel better momentarily, but it's not actually combating the real problem. Most of the time that your pool water is cloudy it is because the chemical balance is off, or you have phosphates and/or chloramines. 1. Check your water with a test strip or an alternative testing process. If the chlorine/alternative sanitizer (Synergy, Bromine, etc.) is low and your pool is cloudy, this is almost definitely the problem. You have to have your chlorine at the recommended level of 1-3 ppm. Side note, during the hottest days of summer, your pool may need more shock to keep your pool clear. The heat and the sun eat up the chlorine quickly. 2. If your chlorine level is okay, check out the pH and alkalinity. If these are not in range, that could cause cloudiness. pH should be between 7-7.6 ppm and alkalinity should be between 80-120 ppm. 3. If all of your readings are correct, check for phosphates. If your phosphates are high, get phosphate remover to remove the phosphates. 4. Make sure to run your filter 24/7 and make sure your filter is clean. If you don't run your pool 24/7 it could make your water stagnant and cause cloudiness and/or algae growth. 5. If you don't have a way to check your pool precisely, bring in a water sample to us, Del Suppo Pools and Spas, or your local pool store to get the water tested. 6. If you're having trouble keeping your chlorine reading high, you may have phosphates or chloramines. If you're not sure if you have either phosphates or chloramines, you can get your water tested by us or your local pool professional for further assistance. If you need test strips, or chemicals, feel free to visit our e-store or our showroom at 26 McKean Ave. Donora. PA. to purchase some! Any other questions? Feel free to comment on here, email us at info@delsuppopools.com, or call us at 724-379-5066. Thanks for reading and I hope this helped you out! Combat allergies with Pool First Aid! Allergies are a common issue. Pollen is a common source of those allergies. No you could combat the pollen in your pool by using Pool First Aid! Pool First Aid is highly effective on large amounts of pollen. It also works quickly to clean up dead algae and non-living organic contamination. Also, as a quick reminder, we will be having our open house this Friday and Saturday (May 13th and 14th). Stop in for exclusive deals, refreshments and a chance to talk to professionals from around the pool and spa industry! The Importance of keeping your pool chemicals/chemistry balanced! Del Suppo Pools here again with some tips to keep you and your pool happy. Checking your pool chemicals often is extremely important to not only your pools health but your health as well. If you keep your chemicals balanced, it extends the life of your liner, cover, heater, filters and pumps. For example, if you don't have your pH balanced correctly it could corrode the pipes to your heater causing you to either put in a lot of money into fixing it or even more into buying a new heater. Another example would be if you constantly had your chlorine too high, it could bleach your liner. To avoid the hassle of having fix or replace different pool parts/accessories, you could buy our Aquachek 7 in 1 test strips and keep your pool chemistry perfect. You could also stop in to our store and get your water professionally tested and get tips on how much and which chemicals you should add to your pool or spa. It's almost time to open your pool and here are some steps and tips to follow to make your pool opening experience an easy and pleasant experience! Get a submersible water pump to set on top of your pool cover to suction off all of the water that gathered up over the winter. Once you have removed as much water as you can off of your cover, it's time to remove the cover itself. It is very important to clean your winter cover to reserve it. Leaving it uncleaned over the summer will have the chemicals from the pool eat away at it. On top of that, the cover will also have a bad smell to it. Use a hose, or another method to raise the water to about half way up the skimmer. Make sure the pump, skimmer, heater, etc are hooked up correctly. Make sure to take off all of the winter plugs and reattach the normal plugs you use over the summer. Turn on your pumps, filters, heaters, etc. Let the water circulate. It is good practice to shock your pool and kill any of the bacteria that grew over the winter. Step 9: Adjust your pool chemistry, starting with total alkalinity. Adjusting the alkalinity level will allow you to easily adjust and maintain your pH level. Step 10: Use an algae killer if needed. If you still see any green or black algae, use an algae killer. Step 11: Brush and Vacuum your pool. Once you've put in all the chemicals you needed and have the chemistry balanced, it is common to still have dirt or debris left over from winter. You should hook up your vacuum and vacuum your pool. Step 12: Continue to let the filter system run. It is good to keep the water circulating. Step 13: Prevent algae during the summer. You can prevent algae build up by using a treatment of algaecide 60 weekly. Step 14: Bring your water in the get tested at Del Suppo Pools! Come to our showroom at 26 McKean Ave, Donora. PA. 15033 to get your water tested for free! Here at Del Suppo Pools we have all the chemicals and expertise you need to keep your pool running smoothly. Stop in to our store in Donora or visit our e-store at www.delsuppopools.com/e-store to pick up any chemicals you need! Polaris Automatic Inground Pool Cleaners are energy efficient, super easy to use, light weight and so effective that it will clean a 50' length pool in under 2 hours! Stop wasting your valuable pool time cleaning your pool! Let the Polaris Automatic Inground Pool Cleaner do the work for you!